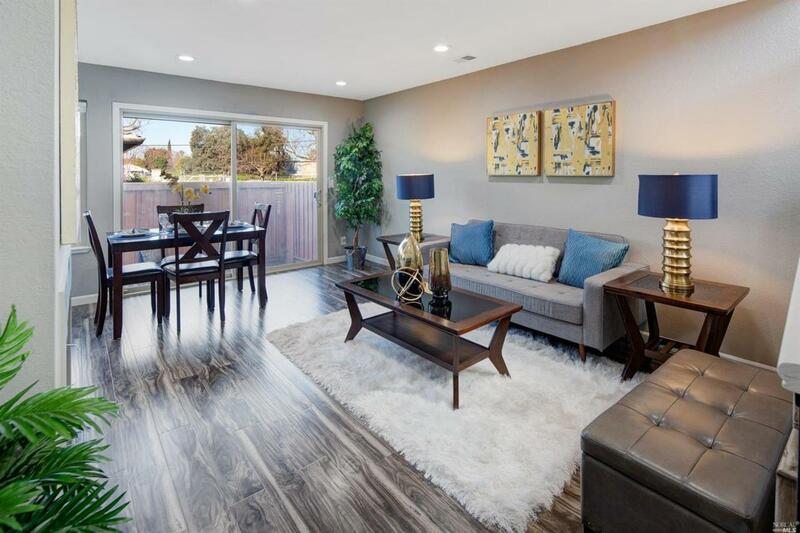 Stylish townhome (Corner lot) at Midtown San Jose. Beautifully upgraded home with organic veggie garden. 2 Master Suites, laminated flooring throughout, and in-unit laundry. Green extras: 240V EV pre-wired, LED recessed lights, newer A/C & Heater system with Honeywell thermostats. Attached one-car garage plus one assigned parking spot. Mins to Caltrain, Santana Row, and Westfield Valley Fair Mall. Best commute of Hwy 280/880. Low HOA fee. Listing courtesy of Wing-Ah Lam of Compass.